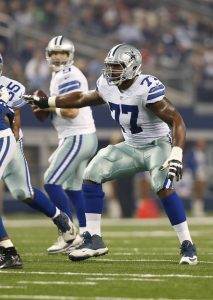 Tyron Smith was born in Los Angeles, California on December 12, 1990. He played his collegiate football at the University of Southern California and is an offensive tackle in the NFL for the Dallas Cowboys, who drafted him ninth overall in the 2011 NFL Draft. Tyron Smith attended Rancho Verde High School in Moreno Valley, California. He was a standout athlete on both the football field and in track and field in his high school career. In track and field, Smith competed in both shot put and discus. His top throws in his high school career were 14.23 m (46’7”) in the shot put and 46.62 m (152’10”) in discus. I guess that solves why he’s so capable of throwing around defensive lineman at the NFL level. On the football field, Tyron Smith was a dominant player on both the offensive and defensive line. In his sophomore season in 2005, Smith was an All-Southwestern League second team pick. In 2006 as a junior, he made the Cal-Hi Sports All-State Underclass second team, All-CIF Central Division first team, and Riverside Press-Enterprise All-Riverside County second team. Tyron Smith was rated as a five-star recruit by both Rivals.com and Scout.com. Rivals had Smith ranked as the No. 6 offensive tackle prospect, while Scout had him as the No. 1 offensive tackle prospect. He committed to play collegiately at USC, despite numerous scholarship offers from other programs around the nation. As a freshman in 2008, Tyron Smith appeared in 10 games and served as the backup left tackle, while also playing on special teams. 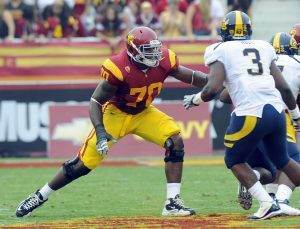 In 2009 as a sophomore, Tyron Smith started the first 12 games at right tackle for the Trojans, but had to miss the Boston College game because he was academically ineligible. 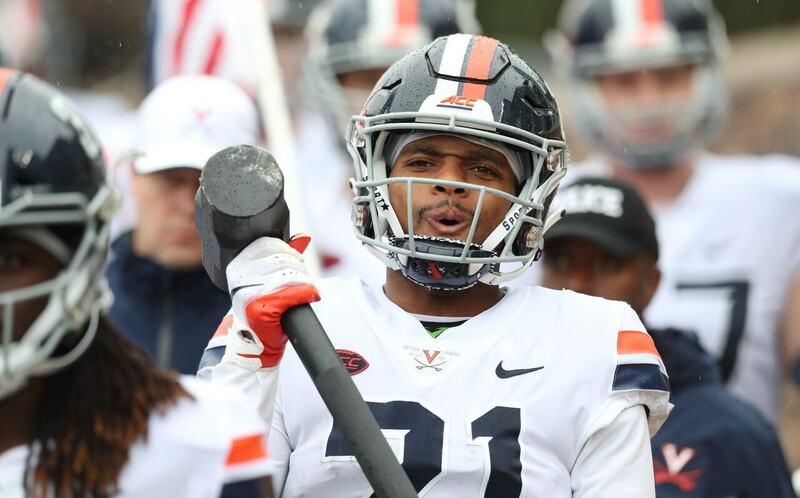 In his second year of college, Smith made the 2009 All-Pac-10 honorable mention and CollegeFootballNews.com Sophomore All-American honorable mention. Tyron Smith had surgery on his right thumb prior to the 2010 spring practices. He competed with Matt Kalil for the starting left tackle spot, but eventually lost out and went back to the right side. 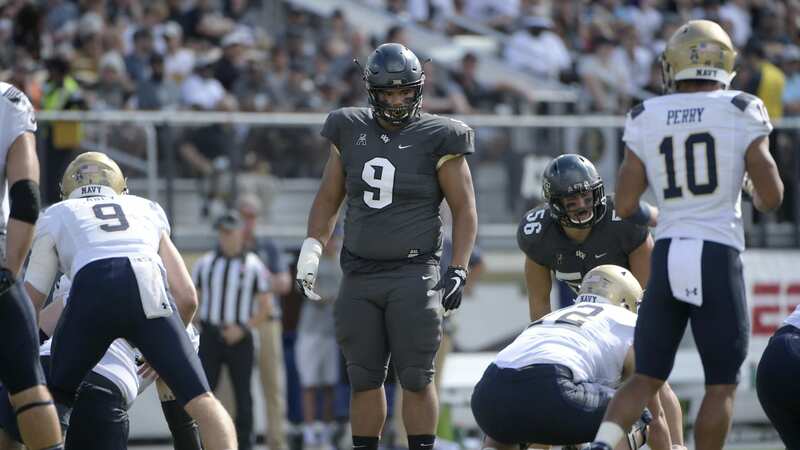 Smith won the Morris Trophy, awarded to the conference’s top offensive lineman, and he was also first team All-Pac-10. 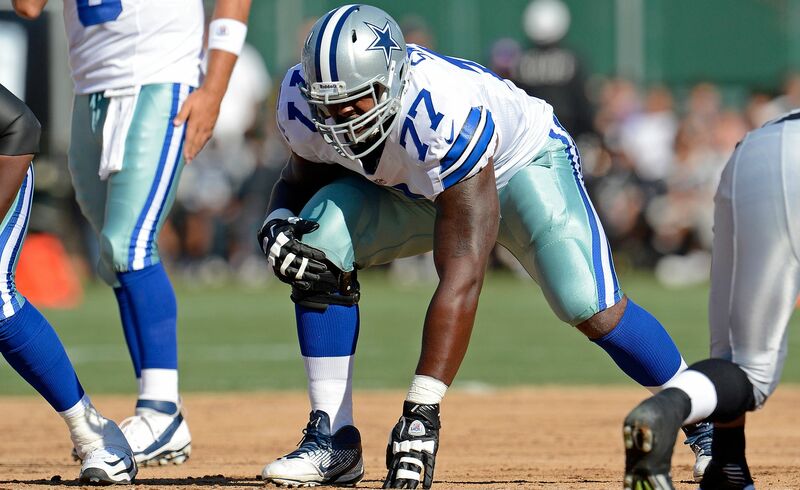 Tyron Smith decided to forgo his senior season and enter the 2011 NFL Draft. 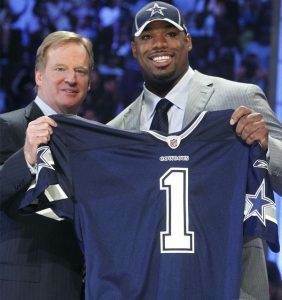 Tyron Smith was the first offensive lineman to be selected in the 2011 NFL Draft, going 9th overall to the Dallas Cowboys. He was the highest drafted OL since Jamaal Brown in 2005. Smith was considered one of the top offensive lineman prospects in the entire 2011 draft class, along with Gabe Carimi, Nate Solder, and Anthony Castonzo. Tyron Smith’s selection was a big deal for the Dallas Cowboys, who hadn’t drafted an offensive lineman in the first round since John Niland in 1966. In fact, he was the first offensive lineman drafted since Jerry Jones took over the Cowboys organization in 1989. Tyron Smith was just a 20-year-old rookie entering the 2011 season. From day one of organized team activities (OTAs) he was named the starter at right tackle, which meant Doug Free would play the left side. 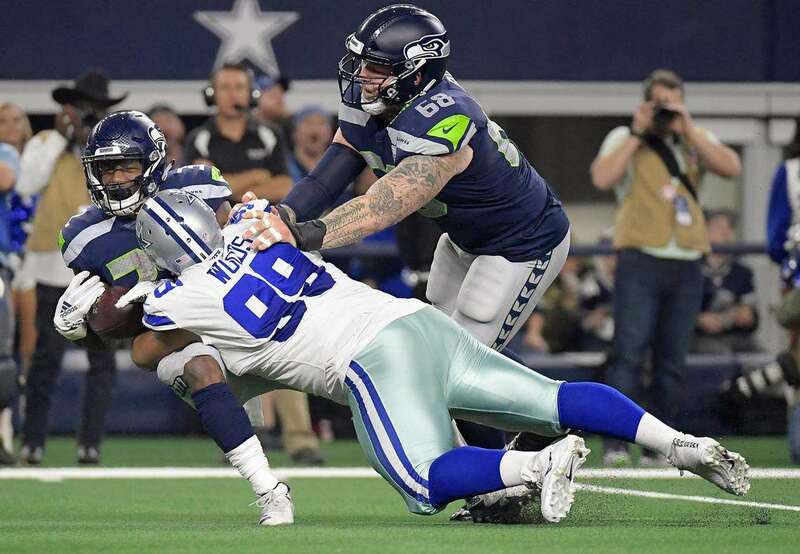 His role with the team became even more important when the Cowboys decided to release veteran offensive linemen Marc Colombo, Leonard Davis, Andre Gurode, and Montrae Holland during the preseason. In 2012, Smith moved from right to left tackle to protect quarterback Tony Romo’s blindside, meaning that Doug Free would move to the right side. He had his struggles, but ended up having a really solid 2012 season. In his third year with the Dallas Cowboys in 2013, he committed just one holding penalty and allowed only one quarterback sack in 16 starts. He ended up being named to the 2013 Pro Bowl team coached by Jerry Rice. In July of 2014, the Dallas Cowboys extended Tyron Smith and signed him to a new 8-year, $97.6 million dollar deal, making him the highest paid offensive lineman in the NFL at the time. He was the first offensive lineman in 10 years to be named the offensive player of the week for his play against the Seattle Seahawks, and was voted into his second Pro Bowl. Tyron Smith started all 16 games and helped running back DeMarco Murray lead the NFL in individual rushing yards, while also helping the Cowboys finish second in the NFL in rushing. In 2015, Tyron Smith again started all 16 games and led the way for running back Darren McFadden, who finished fourth in the NFL in rushing yards. He was also voted to his third consecutive Pro Bowl. Despite having two years remaining on his rookie contract, the Dallas Cowboys decided to sign Tyron Smith to an 8-year, $97.6 million contract extension. He received a $10 million signing bonus and his 2014 and 2015 salaries were fully guaranteed. The Cowboys restructured Smith’s contract in 2016 and converted $9 million of his $10 million base salary into a signing bonus. This created $7.2 million cap space in 2016 and $1.8 million to the next four year’s cap charges. Tyron Smith will make an average of $12,200,000 per year and $22,118,013 million of his contract was fully guaranteed. His contract makes him the third-highest out of 74 left tackles in the NFL.